Good news! The bus that runs directly from The Laurels to the entrance of Alton Towers is continuing in 2017. This is a daily service during Staffordshire school holidays ONLY. 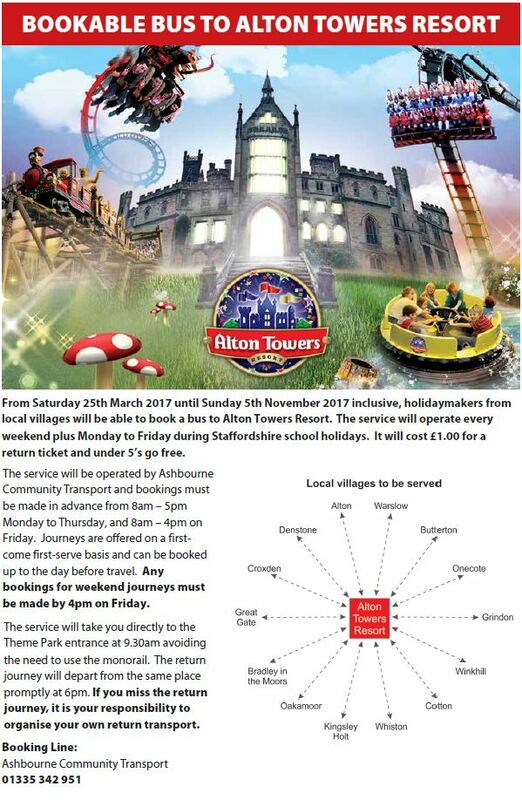 At other times, the Alton Towers Bus only runs at weekends. Tickets MUST be booked 24hrs in advance.